Whether only Father is liable to Maintain Children even if Mother is earning money? Before :- D.P. Wadhwa and M.B. Shah, JJ. Civil Appeal No. 2462 of 1999. D/d. 28.3.2000. For the Appellant :- Mr. R.N. Surolia, Ms. Rashmi Jain, Mr. R.P. Gupta and Mr. Lamikant Pandey, Advocates. the court may, from time to time, pass such interim orders and, make such provisions in the decree as it may deem just and proper with respect to the custody, maintenance and education of minor children consistently with their wishes, wherever possible, and may, alter the decree, upon application by petition for the purpose, make from time to time, all such orders and provisions with respect to the custody, maintenance and education of such children as might have been made by such decree or interim orders in case the proceeding for obtaining such decree were still pending, and the court may, also from time to time revoke, suspend or vary any such orders and provisions previously made.] of the Hindu Marriage Act, 1955 (for short the 'Act') in the Family Court, Jaipur. Appellant is also aggrieved by the order of the courts below not granting her full claim of 'streedhan', litigation expenses, etc. 2. Both the parties are Hindu. Their marriage was solemnized in accordance with Hindu rites on May 2, 1983. First child, a son, was born on January 27, 1984 and the second child, also a son, was born on June 28, 1985. Wife filed petition for dissolution of marriage on May 21, 1990. She also prayed therein for return of her 'streedhan', custody and guardianship of the children and also for their maintenance. At the same time she also filed an application under Section 125 of Criminal Procedure Code (Code). 3. On August 2, 1991, wife filed a petition under Section 26 of the Act in the Family Court claiming maintenance @ Rs. 2,575/- per month for both the children. In the affidavit supporting the application, however, maintenance was claimed @ Rs. 2,500/- per month for both the children. It was pointed out that husband was getting a salary of Rs. 6233.40 per month. Wife also claimed a sum of Rs. 1,585/- as admission fee in schools for the children and Rs. 5,000/- as litigation expenses. 4. Family Court by order dated April 7, 1992 granted maintenance under Section 125 of the Code @ Rs. 250/- per month for each child. On April 30, 1992 Family Court awarded a further sum of Rs. 250/- per month for each child as interim maintenance under Section 26 of the Act. Family Court also framed issues relating to the custody, guardianship and maintenance of the minor children and also regarding streedhan. 5. On October 27, 1995 wife filed another application under Section 26 of the Act wherein she drew the attention of the court to her earlier application filed on August 2, 1991. Now she claimed Rs. 2,000/- per month for each child. She said salary of the husband had since been increased to Rs. 12,225/- in August, 1995. On August 26, 1997 yet another application was filed by wife under Section 26 of the Act. Now she wanted maintenance for the elder child @ Rs. 3,500/- per month and for the younger child @ Rs. 3,000/- per month. It was pointed out that the salary of the husband was Rs. 13,683/- per month and thereafter from August, 1997 it was going to be increased to Rs. 14,550/- per month. 6. Family Court by order dated September 13, 1997 consolidated both the proceedings - one under Section 13 of the Act for dissolution of the marriage and the other under Section 26 of the Act. On October 4, 1997 Family Court granted decree of divorce in favour of the wife dissolving the marriage between her and the respondent. Against claim of Rs. 1,80,000/- towards 'streedhan' Family Court granted a decree of Rs, 1,00,000/- as cost of the articles which prayer was granted in the alternative if the respondent did not return the articles mentioned by wife in her petition. It was also ordered that both the children, till they attain majority, should be in the custody of the mother, the appellant, and maintenance for each of the children was awarded @ Rs. 500/- per month from October 4, 1997. A sum of Rs. 1,000/- was awarded as cost of the litigation to the wife. 7. Wife took the matter to the High Court seeking enhanced amount of maintenance of the children and decree for the full amount of Rs. 1,80,000/-. High Court by its impugned judgment, enhanced maintenance of the children from Rs. 500/- per month to Rs. 1,000/- per month effective from the date of the order of the Family Court dated October 4, 1997 and awarded Rs. 500/- per month for each child from the date of the application. High Court observed, though in our view not correctly, that "it is an incumbent liability on the part of the father to bear the cost of education and the maintenance expenses for the two children ......" High Court also observed that the respondent was "admittedly employed in a responsible position in the Reserve Bank of India where his gross pay packet amounts to Rs. 13,000/- per month." During the course of hearing we have been told that the husband is employed as a clerk in the Reserve Bank of India while the appellant-wife is a lecturer in a Government college in Rajasthan. High Court rejected the prayer of the wife for enhancement of any amount from Rs. 1,00,000/-. High Court made certain directions for the husband to meet the children and with that we are not concerned. High Court disposed of the appeal without any order as to costs. Still the wife felt aggrieved and sought leave to appeal to this Court under Article 136 of the Constitution which we granted. By an interim order passed on February 22, 1999 it was directed by this Court that by way of interim relief maintenance for each of the child be paid @ Rs. 1,500/- per month by the respondent-husband. 8. This Court in an appeal under Article 136 of the Constitution is not going to re-appreciate the evidence led before the Family Court. There is a concurrent finding of award of Rs. 1,00,000/- to the wife though in the alternative being the cost of the articles presented at the time of the marriage which we are not going to disturb. As far as costs and special costs are concerned that again is within the discretion of the court and unless some weighty reason is shown to us we again do not think that we should unsettle the payment of award of costs by the Family Court and nor payment of costs by the High Court. Appellant says she has been harassed persistently by the husband in delaying the trial before the Family Court. But then husband also has a grievance that in the Family Court he could not get the services of a lawyer though the wife was represented by her father, who himself is a lawyer and while her father would argue in the court she would remain mute. 9. Respondent before us has not appeared instead of notice to him. We have heard the arguments of the wife ex-parte. On February 28, 2000 an application was filed by the appellant for placing on record additional documents which are all of the period after filing of this appeal. No notice has been given to the respondent of this application. 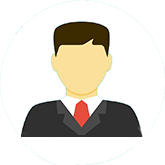 The purpose of the application appears to be to further enhance the amount of maintenance taking into account the changed circumstances as the salary of the respondent-husband is stated to have increased by passage of time. Various documents like receipts for payment of school fees, buying of books, school bags, etc. have been filed. We are not inclined to permit this application at this stage. If circumstances have changed for enhancement of maintenance appellant can approach the Family Court again as an order under Section 26 of the Act is never final and decree passed thereunder is always subject to modification. 10. Maintenance has not been defined in the Act or between the parents whose duty it is to maintain the children. Hindu Marriage Act, 1955, Hindu Minority and Guardianship Act, 1956, Hindu Adaptions and Maintenance Act, 1956 and Hindu Succession Act, 1956 constitute a law in a coded form for the Hindus. Unless there is anything repugnant to the context definition of a particular word could be lifted from any of the four Acts constituting the law to interpret a certain provision. All these Acts are to be read in conjunction with one another and interpreted accordingly. We can, therefore, go to Hindu Adoption and Maintenance Act, 1956 (for short the 'Maintenance Act') to understand the meaning of the 'maintenance'. In clause (b) of Section 3 of this Act "maintenance includes (i) in all cases, provisions for food, clothing residence, education and medical attendance and treatment; (ii) in the case of an unmarried daughter also the reasonable expenses of and incident to her marriage" and under clause (c) "minor means a person who has not completed his or her age of eighteen years." Under Section 18 of the Maintenance Act a Hindu wife shall be entitled to be maintained by her husband during her life time. This is of course subject to certain conditions with which we are not concerned. Section 20 [20. Maintenance of children and aged parents. - (1) Subject to the provisions of this section a Hindu is bound, during his or her lifetime, to maintain his or her legitimate or illegitimate children and his or her aged or infirm parents. (3) The obligation of a person to maintain his or her aged or infirm parents or daughter who is unmarried extends insofar as the parent or the unmarried daughter, as the case may be, is unable to maintain himself or herself out of his or her own earnings or other property. Explanation. - In this section "parent" includes a childless stepmother.] provides for maintenance of children and aged parents. Under this Section a Hindu is bound, during his or her life time, to maintain his or her children. A minor child so long as he is minor can claim maintenance from his or her father or mother. Section 20 is, therefore, to be contrasted with Section 18. Under this Section it is as much the obligation of the father to maintain a minor child as that of the mother. It is not the law that how affluent mother may be it is the obligation only of the father to maintain the minor. 11. In the present case both the parents are employed. If we refer to the first application filed under Section 26 of the Act by the wife she mentions that she is getting a salary of Rs. 3,100/- per month and husband is getting a salary of Rs. 5,850/- per month. She is, therefore, also obliged to contribute in the maintenance of the children. Salaries of both the parents have since increased with the course of time. We believe that in the same proportion, may be perhaps in the case of an employee of Reserve Bank of India at somewhat higher rate. If we take approximate salary of husband is twice as much as that of the wife, they are bound to contribute for maintenance of their children in that proportion. Family Court has already fixed a sum of Rs. 250/- per month for each of the child under Section 125 of the Code. That amount we need not touch. 12. Considering the overall picture in the present case we are of the view that a sum of Rs. 3,000/- per month for each of the child would be sufficient to maintain him, which shall be borne by both the parents in the proportion of 2 :1. We, therefore, direct that respondent shall pay a sum of Rs. 2,000/- per month for each of the two children aforementioned from October 4, 1997, the date of the order of the Family Court. For the earlier period respondent shall pay Rs. 500/- per month for each of the child from the date of the application, i.e., August 2, 1991 and @ Rs. 1,000/- per month from the date of the second application, which is October 27, 1995 and @ Rs. 1,500/- per month from the date of the third application, which is October 27, 1995 and @ Rs. 1,500/- per month from the date of the third application, which is August 26, 1997. These amounts shall be apart from the amount which the respondent has already been paying to the children @ Rs. 250/- per month under Section 125 of the Code. Respondent shall be entitled to make adjustment of the amounts which he has already paid under orders of the Family Court, High Court or the interim order of this Court. The appeal is thus partly allowed. There shall be no order as to costs as respondent has chosen not to appear. 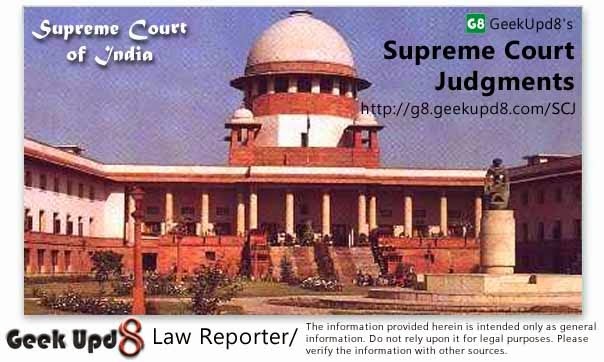 Geek Upd8 - Law Reporter: Whether only Father is liable to Maintain Children even if Mother is earning money? Hindu Marriage Act, 1955, Section 26 - Hindu Adoption and Maintenance Act, 1956, Sections 18 and 20 - Maintenance to children - Divorce between husband and wife - Both earning from salary - Wife is also obliged to contribute in maintenance of children - Both husband and wife directed to contribute towards maintenance of children in proportion to their income.